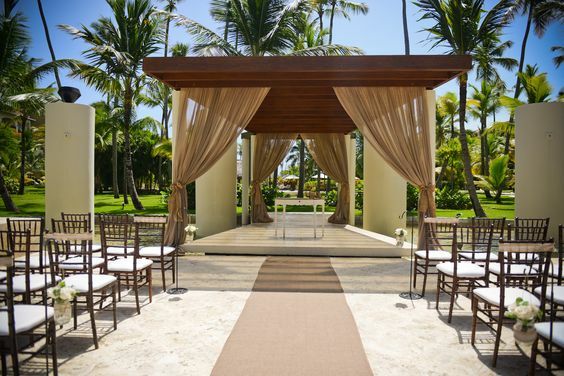 At the Now Larimar Punta Cana, you and your wedding guests will feel the vacation vibes translate to your wedding ceremony, and live in luxury thanks to the premium services on offer. 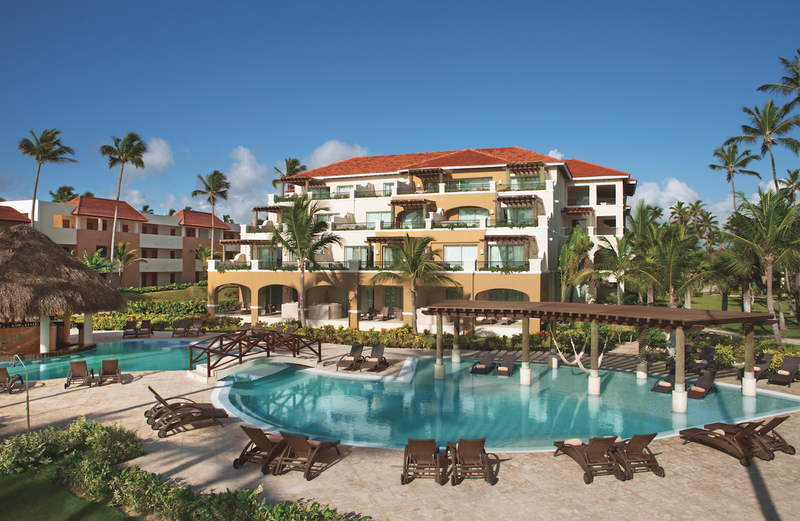 Just beyond the white sands of the famous Bavaro Beach, you will find the invitingly warm waters of the Caribbean Sea. With a Now Larimar Punta Cana wedding you will have the makings of a perfect celebration, along with everything needed to relax on your vacation after you tie the knot. There are a wide variety of things to do for wedding guests of every age! Some amenities include a Kid’s Club and 4-lane bowling alley, and adult-focused options like the disco and casino. 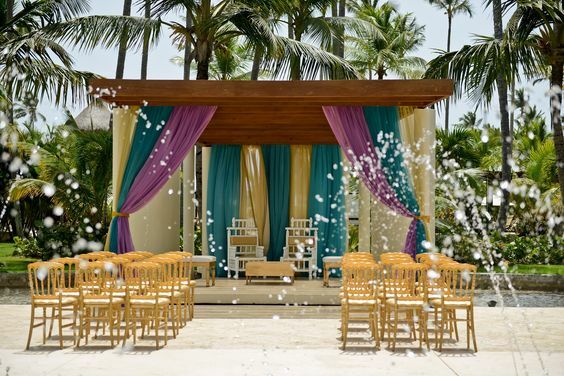 Now Larimar Punta Cana has a large number of wedding ceremony venues, more so than many other resorts, so you can find your ideal backdrop. If your guests book a Preferred Club room or suite they come with extra perks and privileges. The “Your Moments” wedding package qualifies as free if a minimum of 7 nights are booked in the Preferred Club Deluxe Partial Ocean View room category or higher, or if 5 rooms are reserved for a 3-night minimum in any room category. Indian wedding packages are available. Packages have reduced rates during the months of August, September and October. Upgraded packages, additional guests, and add-ons are available for an additional cost. $110 – $220 average price per person per night. Rooms include whirlpool tub, balcony or patio, and daily restocked minibars. Children 2 and younger stay free. There are 658 rooms with resort and ocean views. The property is relatively compact and recommended for all guests, even mobility impaired. 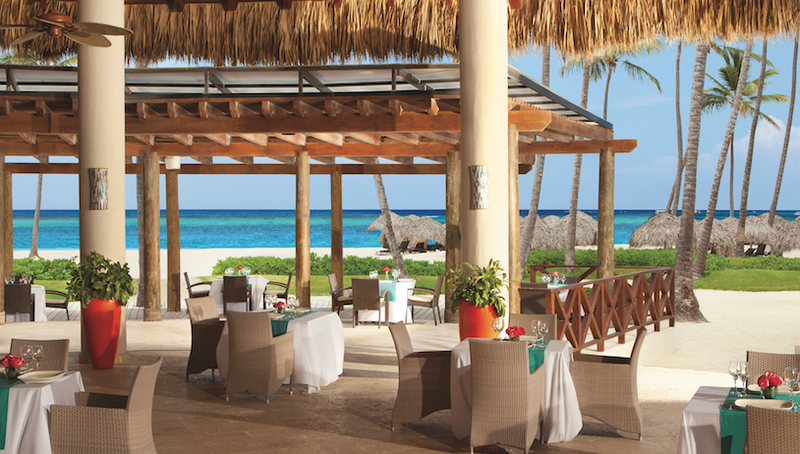 Now Larimar Punta Cana does share access to further restaurants and bars at sister property Now Garden Punta Cana. Plaza Now Larimar – 200 guests max, Beach – 200 guests max, Fountain Area – 150 guests max, Ballroom – 130 guests max, Eclipse Terrace – 60 guests max, Now Larimar Garden – 40 guests max, Garden Gazebo Secrets (adults-only) – 40 guests max, Royal Gazebo (adults-only) 40 guests max. This hotel allows a maximum of 2 adults and 2 children 12 and younger per room, or 3 adults per entry-level room category. Now Larimar can host up to 3 weddings a day. Privacy is of the utmost importance and the resort does it’s best to schedule weddings at separate times and venues throughout every day. March, April and May are the 3 months with highest chances of occupancy sell-out. The wedding coordinator typically responds within 24 hours. During busy months, the wedding coordinators may take 48 hours to respond. The resort is located 12 miles from the PUJ airport. A: 6 and a 1/2 years. A: Not only the hotel grounds but the staff that give life to this ground, everywhere you can get beautiful beaches, garden, gazebos, but here the service that will be remarkable for your guests. A: That most of the time we exceed their expectations, it is difficult to plan a destination wedding because they do not have the chance to see the property in advance or get to see our faces before arrival, so they don’t know what to expect. Our main goal is to exceed their expectations. Also they always mention the great service they received by the wedding servers that participate on their wedding events. A: I think this is the most difficult question of the list jejejej!!! I think it’s the minor details where you can get the biggest moments, sometimes we have only the couple as a guest, a ceremony for two. For the bride to be able to have somebody that can help with her dress, to put a flower on her hair or even to help her put the shoes on, we are not only saving their day but also letting them know that they are not alone and we are here for them. I think those are the moments that I appreciate the most.